We observed previously after John Bolton's threat late this week of "greater military force" should chemical weapons allegations emerge against Damascus, that a familiar pattern has long been in play on Syria: just when it appears the jihadists are on the brink of final defeat, and as stability is returning after seven years of grinding war, something happens to bring things right back to the brink of global crisis and escalation. 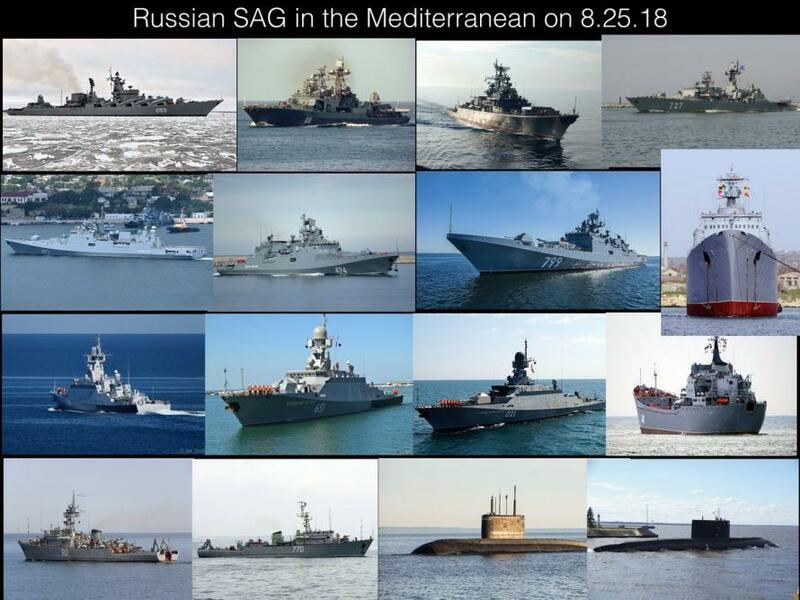 Russia has built up its forces around the Mediterranean Sea in response to reports that the U.S., France, and Great Britain could be preparing to attack Syria after US National Security Advisor John Bolton informed Russia that America is prepared to respond with greater military force than it has used against Assad’s regime in the past, according to Bloomberg. 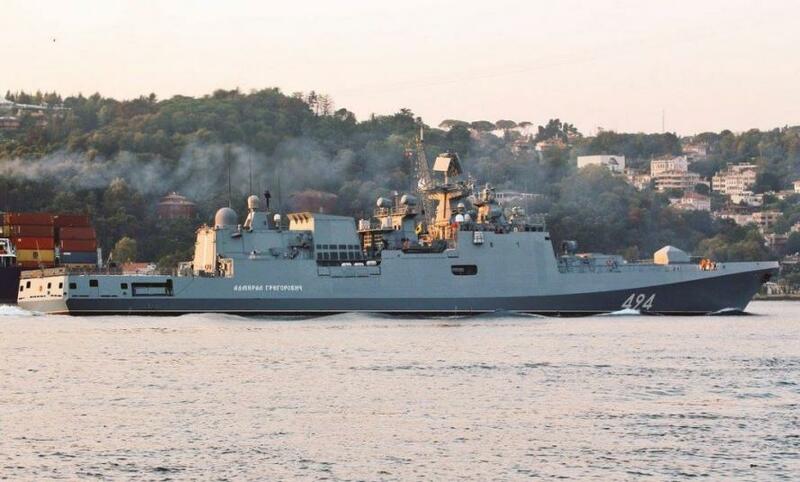 Isik said that the powerful Russian warships, Admiral Grigorovich and Admiral Essen class frigate, were spotted transiting the Bosphorus Strait en route to the Port of Tartous. The Turkish coast guard monitored the frigates as they passed through the Bosporus toward the Mediterranean, reportedly en route to Russia's only major deep-water port in the region along the Syrian coast. Ships are also being deployed as Syrian and Russian forces prepare for what's expected to be the final push to liberate all of Idlib province, which Russian forces are expected to play a central role in executing. Meanwhile, in reference to reports that Washington could be preparing another round of attacks, the Russian MoD pointed out on Saturday that "the US Navy’s destroyer Sullivans with 56 cruise missiles on its board arrived in the Persian Gulf several days ago while a B-1B strategic bomber of the US Air Force armed with AGM-158 JASSM air-to-surface missiles was redeployed to the Al Udeid air base in Qatar," according to TASS.